Prior to the past 18 days changing jobs felt like a distant memory. For 3 years I have worked as a design consultant. I knew everyone in our team. I had a close relationship with my boss, still consider most of my peers good friends and could easily navigate everything from internal processes to helping people find files and supplies in our office. It’s been a great opportunity to learn different design tools and experiment them in multiple scenarios. Still, I felt like I was only taking a thin slice of a bunch of industries. I craved a deeper dive in problems I am stoked about solving. I urged owning the results (positive and negative) that come from my decisions and knew being closer to implementation could offer me that. And this is where Nubank came in. I have recently joined the Design Team and spent the past few weeks engaged in one fundamental activity: listening. Here’s an overview of how’s my experience been so far. Before Nubank I’ve seen companies take advantage of the term ‘culture’ and wear it as marketing tool. As consequence, employees found themselves frustrated when things worked differently from advertised. Being transparent when communicating culture is key for employees to know where they stand. And now I know that the culture I was introduced to during my hiring process was indeed authentic. 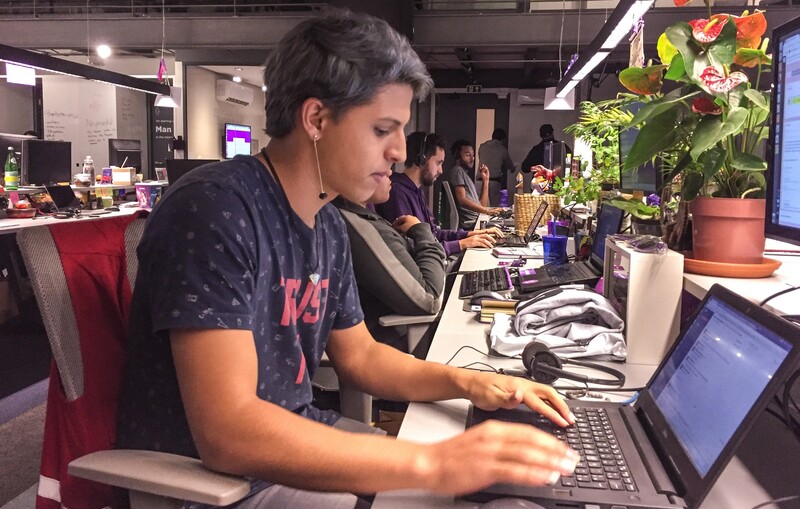 Even after such a brief time, I’ve seen Nubank’s culture influence everything from our hiring process to onboarding new people, decision making, shipping products and interviewing users. Creating an engaging culture and maintaining it amid a fast-paced expansion is probably Nubank’s biggest laurel. For now, I can only imagine how challenging it is to preserve a startup’s original culture as it grows. To draw a line on how important this is to us, we now have over a thousand employees and our CEO David still dedicates a whole hour every other week to talk about Nubank Culture to our new hires. On the first few days at Nubank all chapters’ new hires have a common agenda. Activities spun around getting to know our history, values, benefits as well as becoming familiar with our almost-intimidating double-height ceiling building. It’s engaging to see how even details like taking the stairs for a meeting builds up culture and a healthy work environment. One of Nubank’s core values is that we want to build strong and diverse teams. Doing so also requires individuals to express how they feel in a mature way. In a company with so many young employees this also means levelling up our soft-skills. On my first day I had an entire session on learning how to give and receive feedback. The vision of feedbacks as gifts that helps us thrive as individuals felt like a good starting point to open-up early and not stack a pile of sentiments towards our peers. To exchange these gifts, we have a dedicated platform so people can share their thoughts with anyone accross Nubank both as private (on-the-spot) feedbacks or even posted as public compliments in a section called “Wall of Praise”. Xpeers are our customer-service heros and also the backbone of our service. Unlike most companies, Xpeers are experts that understand Nubank’s products in-depth and are also allocated in squads. They are real customer support and NOT a third-party company pushing clients products they don’t need. On our first week, every new hire have their own first experience as a Xpeer. This was probably the most enlightening experience I had so far. Not only did it help me understand the different systems behind our customer facing interface but also put me in their place to see how central is the Xpeer role here at Nubank. Having Xpeers close by have already proved itself as the best source of knowledge about both our clients and products. Beyond that, designers are also responsible for creating the back-office interface Xpeers use everyday. Enhancing their routine can only be as compensating as improving our customer’s. There are two recurring company-wide events. The first one is called Coffee-break. 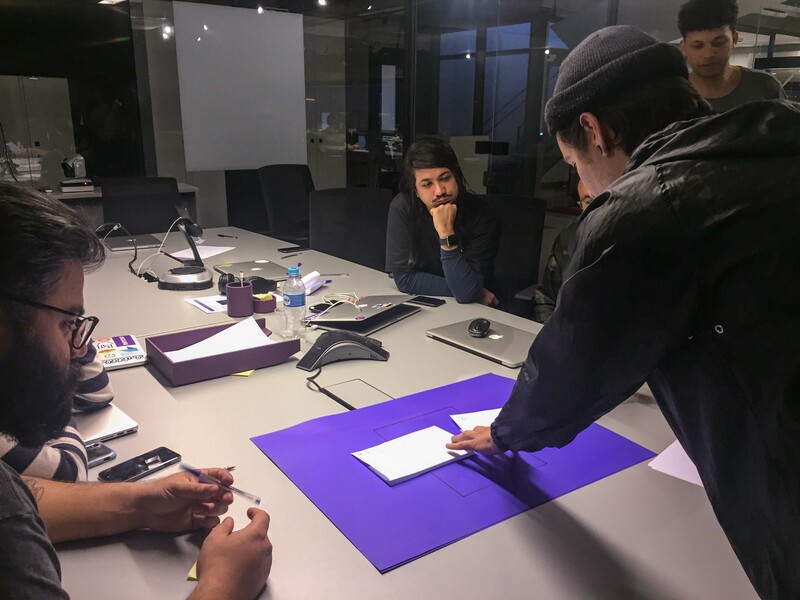 It happens every other week and is the only mandatory meeting at Nubank — all other meetings employees are encouraged to don’t attend if they find they have a more important task. The Coffee-break is where we share the accomplishments of the past weeks and align our vision for the future. MegaDemo is a monthly review of everything that’s been shipped on the past 30 days. People show their cases in a light, laid-back presentation. It’s very fun and great to see what different squads are up to. A few days before the Mega Demo, there’s always a “teaser” on our Slack — which always happens to be very tacky 💜. I’ve been lucky enough to have a MegaDemo on my first week at Nubank. Catching up with what the whole company have been up to in the past month helped me a lot at situating myself — and also worked great as a conversation starter to getting to know more people. Once I joined, we have now a total of 17 designers here at Nubank. Since the beginning of the year the team has almost doubled and we now have designers dedicated to Product, Comms, Branding, Illustration and Research. What surprised me since my hiring process is how these different design strands bond as a single, strong team. The reason it works so well is that as much as we’re working on different projects and allocated in different squads, there’s a good part of our week dedicated to spending time together. 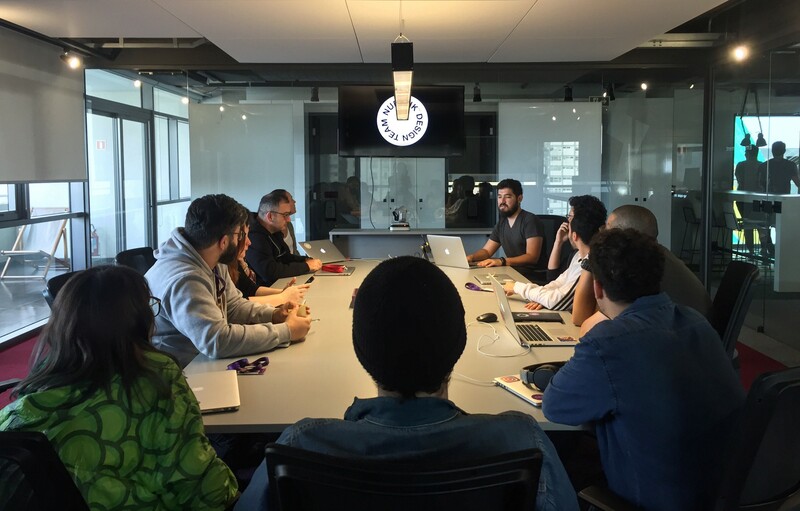 Every Monday starts with a creative session lead by one of us. 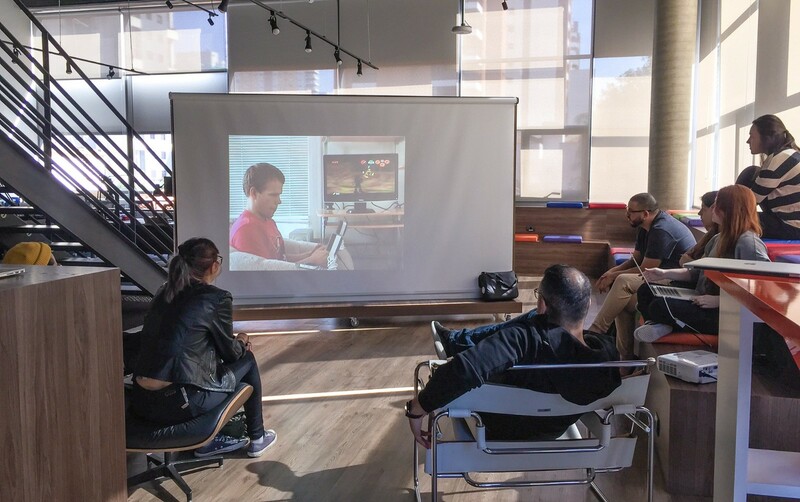 From presenting documentaries and artists that inspire you to showing tips on how to question quantitative data, Monday mornings are when we gather to learn more and discuss about topics that matters to people in our team. Starting off the week with these sessions feels energising and makes even Mondays seem way less daunting. Our latest Creative Monday was on how visually impaired people play videogames. Then, there are Thursdays. Thursdays are kind of our religious day and the whole team works from the Design Studio. During most of the day we are working on our own projects but being physically close to each other makes it easier to ask for a second opinion. My first time participating of a Co-Design. Apart from the in-person interaction, we also regularly share work in progress in our design review Slack channel. Making everyone comfortable to question and suggest iterations helps nurturing a consistent, delightful experience to our users. Don’t rush to become a master at any subject. Take your time and enjoy this moment to question how everything works. Just do it. Ask forgiveness not permission. We aren’t looking to become the largest bank in the world. We’re better being the most influent one. Seeing a variety of mental models and lines of thought work together in synergy is motivating. I’ve learned a lot in a short period and know my journey here is only getting started. There’s still a lot to be done and each day I feel more empowered to be part of our fight against complexity. I still have lots to learn about the product, tech and culture at Nubank, but everyone has been patient, comprehensive and keen to help. It’s comforting to have such skilled and humble co-workers. Special thanks to Ricardo Sato for all the weekly check-ins; Mateus Peixoto for including me in every meeting and being patient with me specially on my first weeks; Gustavo Mendes for questioning everything and standing out as a great partner since our first interaction; Inácio Netto for guiding me through our back-office tools and also Lucas Neumann for introducing me to this spectacular team.